Mid-Autumn Festival is observed on the night of the Harvest Moon, which this year happens to fall on September 15th. The festival is traditionally celebrated with a feast, often served outdoor under the full moon to better enjoy the bright night sky. 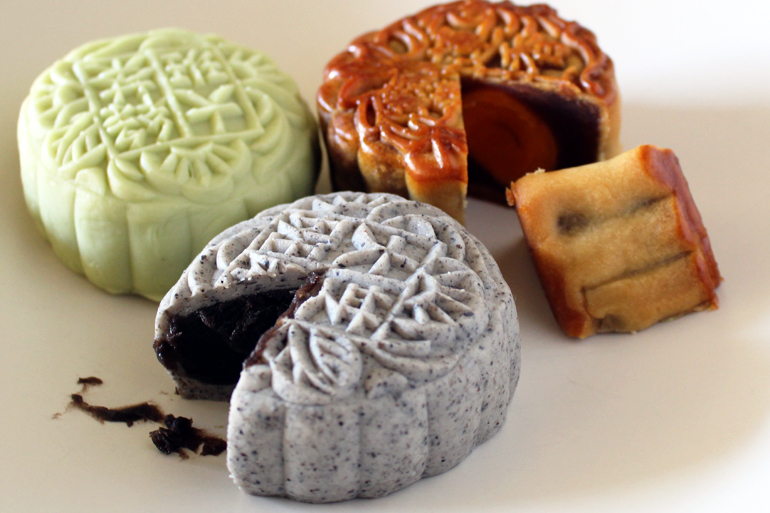 Moon cakes with all their regional variations are never absent from the meal. Brightly colored lanterns hang from tree branches and eaves, while children parade with handheld lanterns chanting verses and singing songs recounting the many legends of the Harvest Moon. It is with this spirit of family festivity that I invited my blogger friends to gather and cook from Phoenix Claws and Jade Trees. One year ago I fulfilled my dream of publishing a Chinese cookbook with a focus on cooking techniques. My goal was to create a book that not only offered practical recipes but also empowered readers with knowledge that would allow them to be creative. 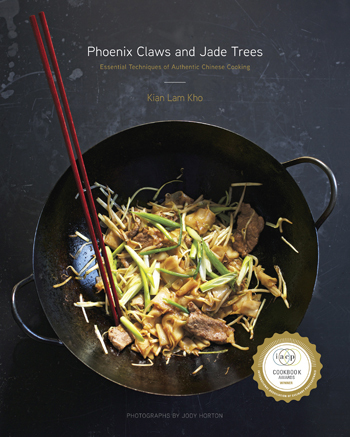 Since the publication, Phoenix Claws and Jade Trees has received many accolades. However, it was from the International Association of Culinary Professionals (IACP) that it received the highest recognition: the 2016 Julia Child First Book Award. To share this success with the readers of my blogger friends, my publisher Clarkson Potter has kindly offered to give away copies of the book. 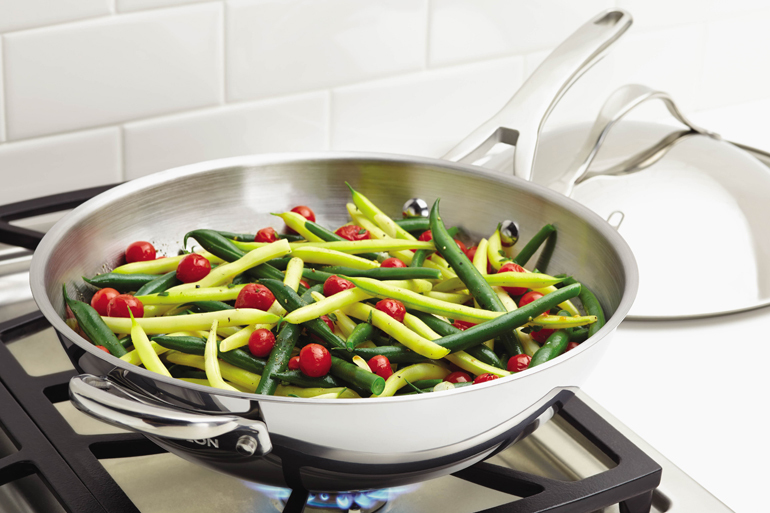 And to cook the feast, Anolon cookware has generously offered their woks and braisers for the U.S. bloggers. But they did not stop there. They are also offering the same cookware to their U.S. readers! (Sorry Canadian readers, you are not eligible for Anolon’s giveaways.) So visit their blogs and find out how you can enter to win the giveaways. There are different deadlines and eligibility for U.S. and Canadian readers. For this virtual feast we’re cooking up some of the iconic dishes from the book. We’re cooking Red Cooked Pork, Cucumber Salad with Garlic, General Tso’s Chicken, Stir-Fried Beef with Black Pepper and Mapo Tofu. Red cooked pork is my signature dish and is always a crowd pleaser. 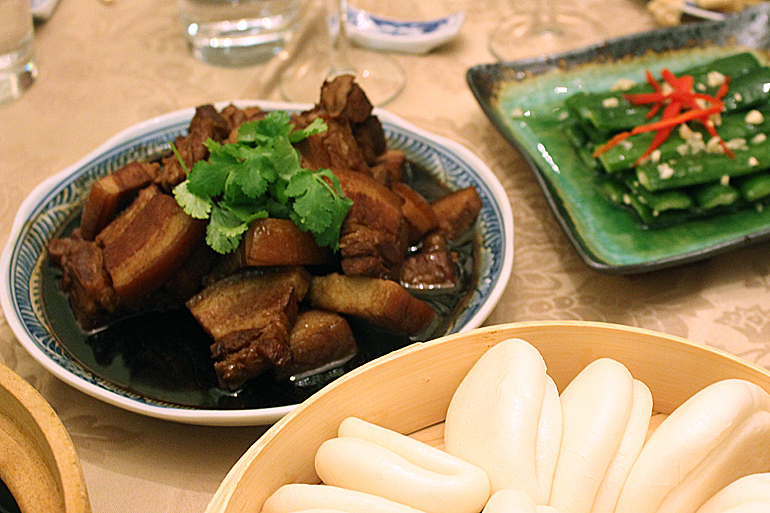 Pork belly had not always been a favorite of North American diners. But since David Chang of Momofuku popularized this cut of meat, it has taken over the American restaurant scene by storm. 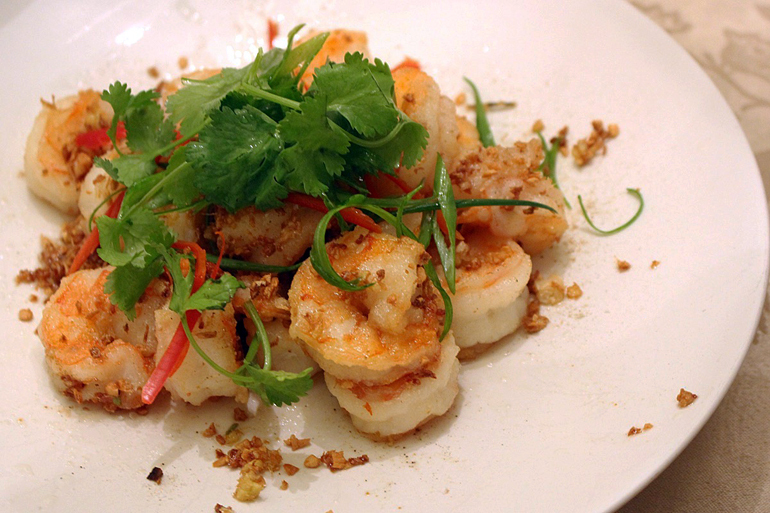 My version is based on my family recipe and can be served with rice or steamed buns. I’ve also included the cucumber salad with garlic recipe to accompany this pork. Stephanie Stiavetti of Fearless Fresh, and Taylor Holliday of Mala Project made this dish and posted drool-worthy pictures. I wish I could be there to sample them. In Canada, Hilary Morden of Cocoa Bean, the Vegetable cooked pork belly for the first time and loved it. 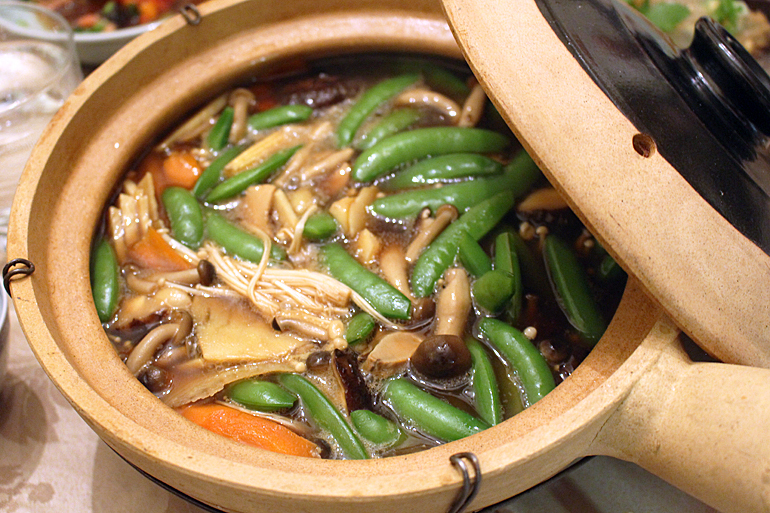 She also used light soy sauce resulting in a much lighter version of the dish. Upholding its reputation, General Tso’s Chicken is the most popular dish among the bloggers. 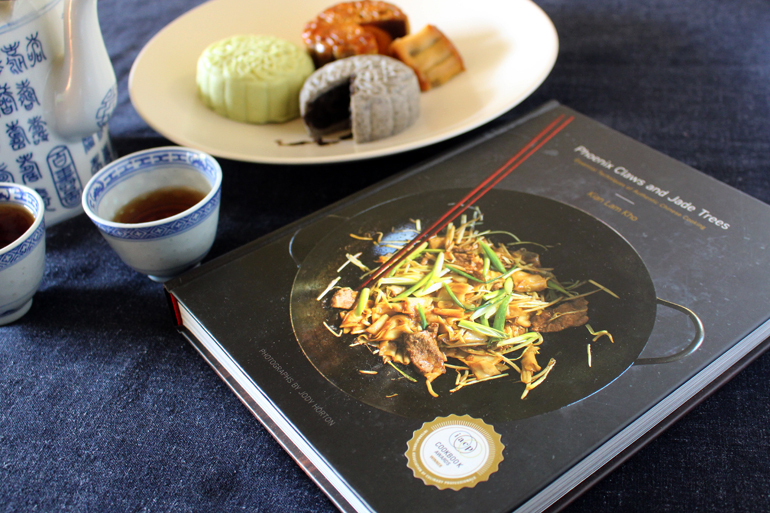 The version I presented in the book is one that is closer to the original created by Chef Peng Chang-Kuei of Taiwan. It has a more pronounced vinegar flavor and is less sweet. Meggan Hill of Culinary Hill and Lora Wiley of Diary of a Mad Hausfrau both made this dish with excellent results. General Tso’s Chicken is also popular in Canada, where Kelly Kwok of Life Made Sweeter, Emily Wight of Well Fed Flat Broke, Loreto Nardelli of Sugar Love Spices, and Meaghan Carey of Un Assaggio all enjoyed the dish. Unlike in Western cooking, black pepper is commonly used in Chinese cooking as a flavoring agent instead of a seasoning. Inspired by the classic Steak au Poivre, Stir-Fried Beef with Black Pepper is a version of Cantonese stir-fry that gives black pepper central role. Yi of Yi Reservation made this dish and was pleasantly surprised how well the black pepper complements the beef. In Canada Liliana Tommasini of My Cookbook Addiction and Chef Heidi Fink loved this dish. As the classic dish of Sichuan cooking, Mapo Tofu is spiciness defined. In fact, Chef Heidi Fink needed to tone down the spiciness to suit her taste. Still others such as Jason Sandeman in Canada loved the dish. Here in Harlem for my family reunion I am making a few dishes from the book including Red Cooked Pork with steamed buns, Steamed Chicken Legs with Goji Berries, and Steamed Stripe Bass. 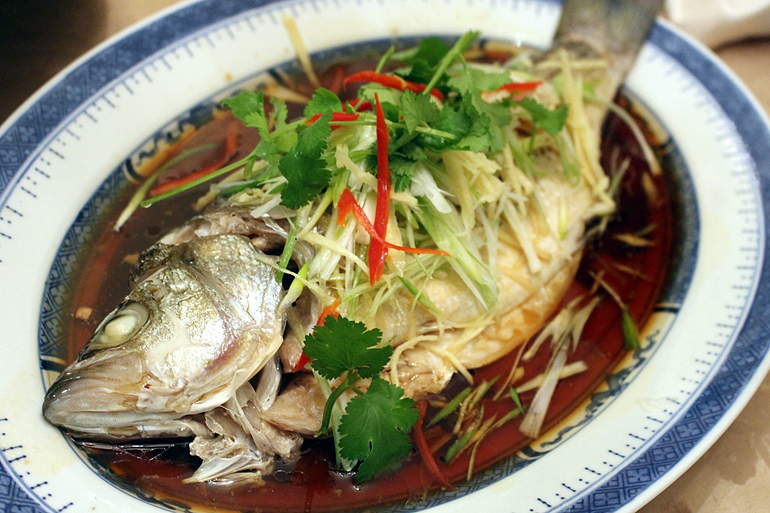 Other dishes are variations of recipes in the book including Salt and Pepper Prawn based on Salt and Pepper Fried Fish Fillet, and Red Cooked Mushrooms and Vegetables inspired by Red Cooked Tofu. As the second most important holiday in China after Chinese New Year, travel pandemonium often breaks out as millions attempt to return home for family reunion. Fortunately, with our virtual feast I can celebrate this festival with my blogger family without leaving my dining room. Thank you Christopher for visiting Red Cook! I must admit that I have not been very active blogging since my cookbook was published. I’ve been promoting it and simply did not have the time. Now that I am winding down my promotion I assure you that I will be back here sharing my cooking stories. 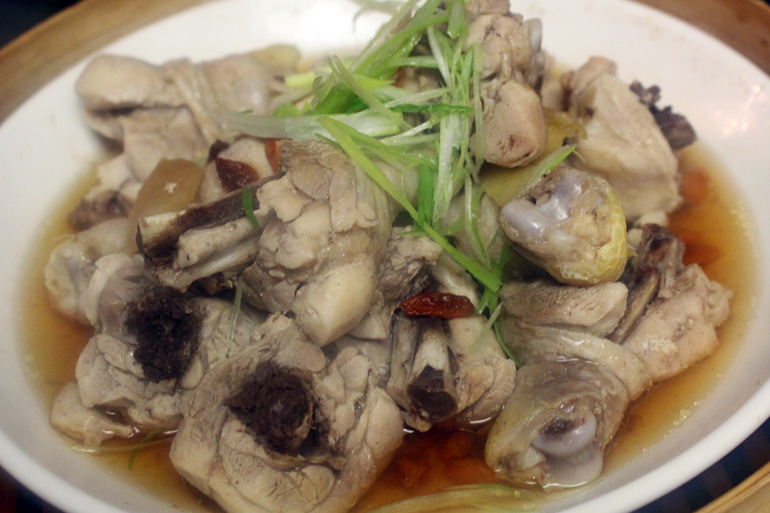 Red cooking is a broad term for braising meat in a soy sauce based liquid. It is one of the most common braising technique in Chinese cooking. I hope you enjoy the recipe. Thanks for giving me the chance to participate in this bloggers food event. Your cookbook Phoenix Claws and Jade Trees is a treasure trove of authentic heirloom recipes. There is so much to learn and I can’t wait to cook from it. Thank you, too for giving my blog readers a chance to win some exciting giveaways. What fun for all. Betty Ann… Thank you for participating in the blog feast. I love how you right about your passion for food and especially authentic classic cooking. I am very pleased you enjoy cooking from my book. Nice round-up Kian and thank you for the opportunity to be part of this blog feast! Need time to check out all the dishes done by all the participating bloggers!